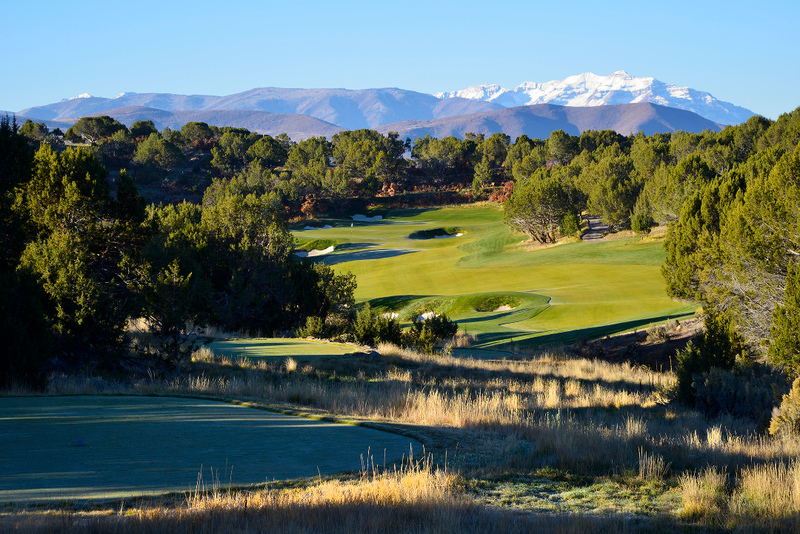 The Jack Nicklaus Signature Golf Course at Red Ledges, a luxury four-season mountain community, was named Utah’s best golf course for the fifth consecutive year by the Best of State Awards. Located in Heber Valley, Utah, the 7,653-yard Signature Course at Red Ledges features 18 stunning holes—each designed to accentuate the views of the Rocky Mountains and the dramatic red rock formations of the state. The Best of State Awards recognize excellence throughout the state of Utah. Red Ledges was awarded the Best of State title based on the outstanding course design by Jack Nicklaus, which was focused on integrating a mountain golf course with natural red sandstone landscaping. Other judging criteria included Red Ledges’ innovative approaches and methods of teaching through its golf school as well as a significant contribution to a better quality of life in Utah and the Red Ledges community. Other amenities of the community include a tennis school, a swim and fitness club, the Juniper Grill restaurant, and access to the St. Regis at Deer Valley’s Deer Crest Club. Spanning nearly 2,000 acres in Utah’s Wasatch and Uinta mountain ranges, Red Ledges offers 1,200 estate homesites with dramatic views of the surrounding Rocky Mountain peaks. For more information, visit redledges.com.